The New York Times bestselling series THE WICKED + THE DIVINE will expand to 40-pages for issue #8 for the regular cover price of $3.50. This special issue will feature a Brandon Graham variant cover full of party-hopping punch. 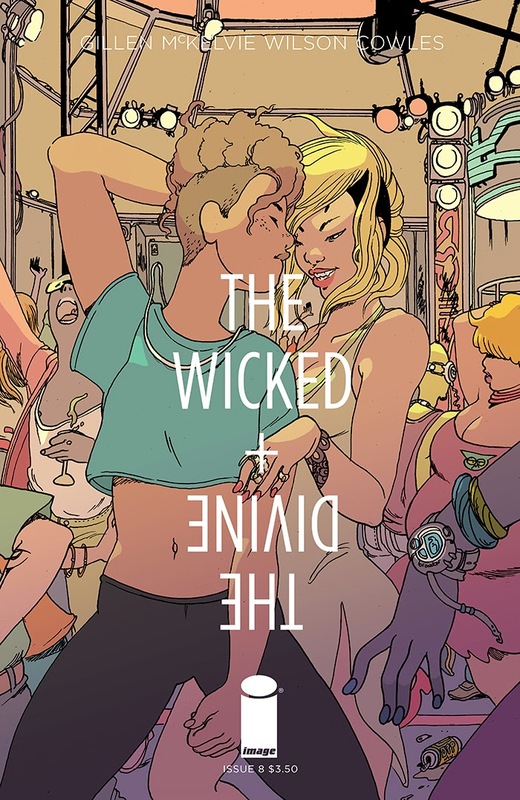 Now that the eleventh god is here, it's time to party in THE WICKED + THE DIVINE #8. You're invited. Everyone's invited. We can sleep when we're dead—but when you'll be dead within two years, you may as well turn up in your pyjamas. After seven issues of egomaniacs, it's time for an issue where the crowd is the star. THE WICKED + THE DIVINE #8 will be available for $3.50 on February 25 with Diamond Code DEC140772. Cover B (Graham) will be available with Diamond Code DEC148276.